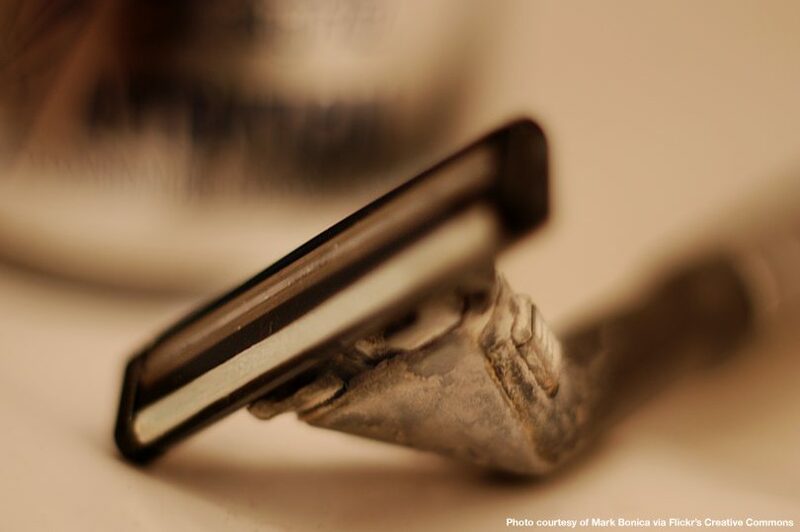 If you follow the minefield that is Twitter outrage, you’ve probably heard about the new Gillette ad and the backlash about its stance on toxic masculinity. Toxic masculinity always seems to be a trigger word for the Twittersphere, as many men on there have created a cult of identity that they must defend. Social media is strange that way, since the anonymity of Twitter accounts means that one must cling to ideas and notions that are extremely definitive in order to belong in a community. As such, a lot of young boys and men on the site cling to the notion of being a man and try to fight what they see as Social Justice Warriors (SJWs) that are, in their mind, solely out order to usurp their position in society. This is not to say that Social Justice Warriors don’t exist, just not in the way they are viewed. See, most cultural groups rely on a ‘God notion:’an idea that brings them together through commonality and a ‘Devil notion:’an idea which the community is inherently not. This opposite exists to create conflict which humanity needs for sustainability. This creates something that exists in a lot of internet outrage communities: the notion that one bad apple spoils the bunch. So, for every one actual ‘man-hater’ out in the Twittersphere, there are 10 people out there who just don’t want to be catcalled anymore. But, of course, on the internet, one person can be perceived as 10 times as many bad apples, since the easiest way to identify an ‘anti-man’ is to identify an SJW. This is not to say that this sector of Twitter (or whatever the hell Piers Morgan represents) is the only one that does this; it is simply the effect of being on the internet, and everyone does this. You could find just as many examples of this situation going the exact opposite way, but that isn’t what I’m discussing today. Now the ad has a background, and it wants to subvert what is known of the brand. Then it sees the trend of ‘woke advertising’, a la Nike and the Kaepernick ad, and sees an opportunity. You could argue that it is in bad faith due to the bad business practices that have been exposed in the past, as many have done already – but the thing is that these are only being talked about due to the content in the ad; So, while it’s justified to dislike Gillette due to those past practices, to use them as a critique of the ad is to move the goalpost and undermine your point. Honestly, if you manage to avoid the ‘group-think’ of the internet, the ad isn’t bad. It’s not saying that all masculinity is bad, but that there is a toxic culture that is something that we as a society should move past. When I was a kid, I got into a fight where I wound up being choked, and as I started to fade out of consciousness, it was only then that someone else broke the fight up. When our parents got home, the other boy’s parents didn’t see a problem with what happened, and said that infamous phrase from the ad: “Boys will be boys.” To say that ruined our friendship was to say the least. We didn’t talk for years because we were both too proud to overcome the fight. I wanted justice, and he didn’t want to seem weak by apologizing. We both gave into the toxic sides of our growth and wanted things to go a certain way; after all, we were men, and that’s what men did. It wasn’t until years later when we both grew up that we realized that what we were trying to emulate wasn’t manlihood, it was projecting an image that wasn’t ourselves in order to hide our insecurities. We fought in elementary school, and when we met again in high school, we were finally comfortable enough with the vulnerability that we felt as children that we let ourselves be friends again. This is what the contents of the ad is trying to get at. The point isn’t that all masculinity is toxic, but there are certain elements of it that have been taken advantage of in the past that Gillette saw itself as a perpetrator of encouraging. At one point in the commercial, a group of men stand up and tell others that what they’re doing is wrong. To the Twittersphere, it looks like people who are giving into SJW demands and denying men their right to act. What is really being shown, however, is men that hold others accountable and stand up for the right thing. To perceive the ad as blaming men who catcall or say “boys will be boys” is to hide behind the insecurity that protects vulnerability. It is not an ad where SJWs call out masculinity, but one where masculinity calls out toxicity. The fight against toxic masculinity is really just a fight against toxicity that Gillette’s social media team has realized it is part of encouraging. To see the ad like it has been seen on Twitter is to be absorbed enough in a community of outrage to miss the point. When this is all said and done, the real point is that none of us on Twitter or in college are the target demographic. After all, Frederick Douglass once said, “It is easier to build strong children than to repair broken men.” We’re already built into our ways, and the ones that the ad is reaching are young boys who can hopefully be better than any of us can be, and if Gillette wants to throw their hat into the ring and teach young men to be better and fight against toxicity, I’m all for it.